Neil Oliver explores the role of Scots in the reinvention of China. In this episode, Neil tries to predict what is next for the country and its people. China - a country that fascinates us but one that we struggle to understand. The people's republic, a communist nation of 1.4 billion born of revolution and yet now home to the most billionaires of any nation. China has stealthily reinvented itself, it's taken another great leap forward, to steal a phrase from Chairman Mao, rapidly developing and shut off from the world no more, it is looking outwards, opening itself to the global markets and playing a part in this transformation are Scots! 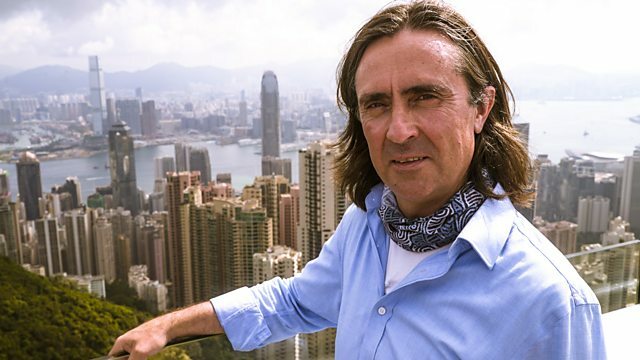 Neil Oliver will meet extraordinary Scottish people from all walks of life, living in and working in China today, using their experiences to unpack the mystery of Modern China. In part two, Neil will try to predict 'what next' for China. Should its transformation worry us? Will the Chinese people be more individual in the great mass of modern China?